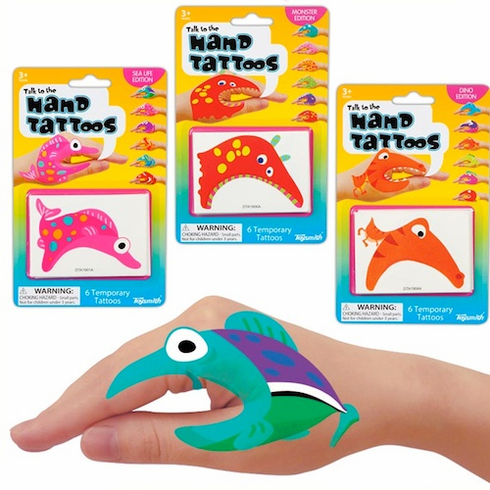 Transform your hand into a colorful puppet with these fun temporary hand tattoos. Three assorted styles - Sea Life, Dino, and Monster styles. Price is PER HAND TATTOO. Styles subject to availability.